Never Counted Out! 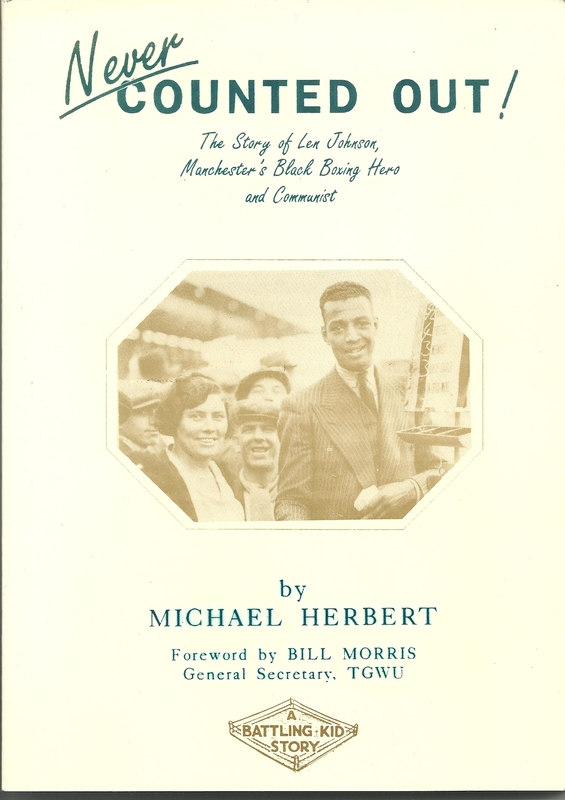 the Story of Len Johnson, Manchester’s Black Boxing Hero and Communist. Len Johnson was born in Manchester in 1902. His father was William Benker Johnson, an African seaman, and his mother was a young woman from Manchester, Margaret Maher. After leaving the merchant navy his father worked for a time on boxing booths and, after a spell in engineering, Len followed his father into the profession. He fought professionally as a middle-weight from 1922 and 1933, and beat some of the best British and foreign fighters of the day, including Roland Todd, Len Harvery, Gipsy Daniels and Leone Jaccovacci. However Len was not allowed to fight for official British titles because the British Board of Boxing Control said that only white boxers could compete for titles. After he left the ring he toured his own boxing up and down the country. During the war Len worked in civil defence in Manchester and after the war worked as a bus driver and then lorry driver. During the war he had joined the Communist Party of Great Britain and become an active member, standing 6 times in the Moss Side ward but attracting only a small vote. He attended the Pan African Congress in Manchester in October 1945 and later set up the New International Society in Moss Side which was both a social club and campaigning organisation. He had retired from active politics by the 1960s and died in Oldham in 1974. 122 pages. £7.95 including postage. 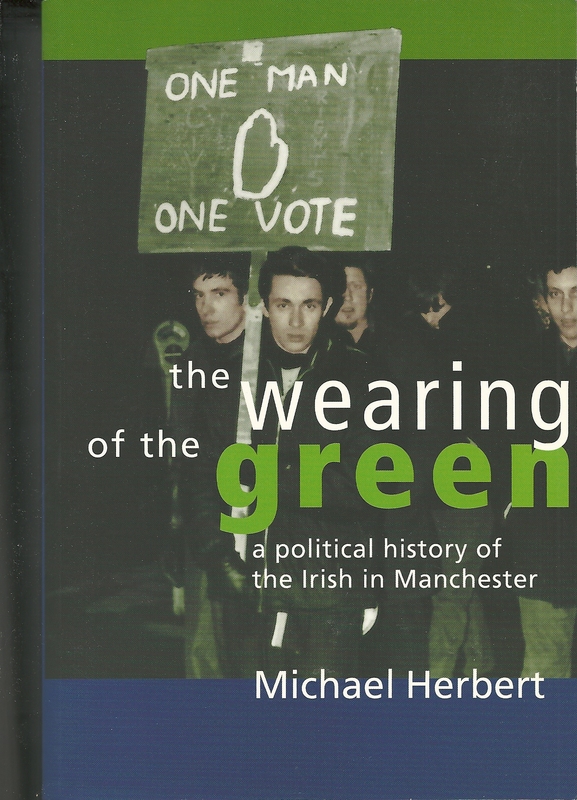 This book recounts 200 years of the political history of the Irish in Manchester from the Late C18th to the end of the twentieth century. it examines the Manchester Irish contribution to the fight for Irish independence in movements such as the United Irishmen, Fenianism, Irish Nationalism and Republicanism, and also looks at their role in radical movements such as Chartism, trade unionism and Votes for Women. 224 pages. £15.95 including postage. Special offer. Buy both books together for £19.95. Radical Women : from Women Levellers to Women’s Liberation – part 1. Some reflections on Mike Leigh’s film “Peterloo”….